The search for the meaning of life is a common thread in all our lives and has been since time began. From the practice of sympathetic magic by our Stone age ancestors, through to modern day worship in organized (and sometimes – highly stylized and modified) religion – we have always yearned to know why we are here and where we are going. Notwithstanding modern technology and so-called advancements in thinking and shifting paradigms – there are those who prefer to join the New Age movement – where new religions and beliefs are created (or modified from the old.) Some go further and form communes, where people can go “off the grid” and go back to nature, running farms and living off the land. Most cling to the “tried and true” established religions (that – ironically – were adapted and evolved from previous pagan religions or cults), for a variety of reasons. These reasons could include tradition, peer pressure, indoctrination or fear of being considered the odd one out. I am writing this only to illustrate my experiences – my journey – and to share with others. Discussion is welcome – persecution is not. I understand that I may put some people’s noses out of joint – which will only point out why religion has a tendency to create bigotry and close-mindedness in its adherents. The “my gang’s better than your gang” mentality has been responsible for many atrocities and wars throughout history – however I do not wish to flog an already over-flogged dead horse. I am writing a fantasy series that deals with realms of the unknown. My lack of belief in a Supreme deity has not hindered my imagination and creativity at all. I adore mythology – and how it explains so much about human behavior. I have often called myself a “Pagan Atheist” – as I practice witchcraft – with the understanding that deities represent archetypes that we use like a touchstone, in order to emulate the energies they personify. Without going into a long-winded account of my experiences (some of which have already been documented in this blog) – I often oscillate between semi-belief and non-belief – or agnosticism and atheism. (Some prefer the term “non-theist” – but for the sake of ease, I use the term “atheist”. I have come to the conclusion that it does not matter if you are a scientist who is a confirmed atheist, or a devout and fervent believer – there is a void (or gap) between belief and non-belief. It exists, whether in our minds or in reality, and has yet to be explored or satisfactorily explained by science. By the same token – religion has also failed to satisfactorily explain (at least, for me) this void. When I say void – I’m referring to all the unexplained phenomena, visions, psychic and spiritual experiences, premonitions and hunches, beliefs – even dreams – where science has difficulty measuring and religion either justifies for their own means or scrambles to cram the square peg in the round hole. This is not to say that science doesn’t have the capacity to discover the truth, or that religion can’t hit the nail on the head. It’s just that, sometimes they both miss the mark. A good example is the time I had a bad hypnagogic hallucination. The Neurologists told me that it was to do with my synapses misfiring or a temporal lobe seizure. My religious relatives told me that it was probably a demonic attack. My New Age friends told me that it was a sign from my Higher Self. I didn’t believe any of them – not quite, anyway. To a degree – I concurred with the doctors – in regards to having an affliction. If it was, after all – just my own synapses misfiring etc., why was there a resonance somewhere deep inside me, that gave me a feeling that something important had happened? Why was it that the images reflected a pattern in my life – or symbolic of behavioral issues that I’ve been dealing with my whole life? That’s the grey area. There’s meaning – without guidelines or concrete evidence. The void is not really a void – but rather – the space between reason and nonsense. One thing I keep going back to is the story of a woman who died on the operating table – and then came back to life and retold a story about leaving her body. She saw a doctor in the next room – and could describe the intricate patterns on his tie – without ever having seen him in person. She could describe other things, but what got to me was the description of an abandoned shoe on the roof of the hospital. She had never been up there and described the shoe in such detail that you would have thought she had been up on the roof. Sceptics claimed that she must have seen the doctor and his tie – or that it was a lucky guess. They continued discounting all her experiences – but stopped short at being able to find a reasonable explanation for the shoe. They tried to laugh it off and say that anyone could assume there would have been a shoe on the roof. What they couldn’t explain was the incredible detail of how the shoe was positioned and exactly where; how the laces were draped a particular way and so on. That has always stumped me – and no one has been able to explain it away or satisfy me with a concrete answer. They are just as wishy-washy as the ones who believe. I understand and accept that science will explain the things that baffle us today – sometime in the future, just like they have already explained and deciphered the things that baffled us in the past. I am the kind of person who welcomes scientific discovery with open arms. I can enjoy a sunset – knowing full well that it might just be a collection of vapors; matter arranged perfectly at the right time at the right place, or even a trick of the light or my eyes. It’s still beautiful. Whenever I have delved into metaphysical pursuits, I have come at them with a scientific mindset – in order to ensure that I was not duping myself. It’s easy to be carried away with mystical messages and New Age or spiritual imagery that “speaks to the soul”. When my son was young, I started getting into the Tarot with a friend of mine. I have used the cards since then – always taking notes and dating them, for future reference. Sometimes they would come true – but I can’t be certain if it was due to subconscious programming via the images and messages on the cards, or if they truly foretold the future. In 1997 – my circle of family and friends endured a host of deaths. To start with, I had a miscarriage – then two weeks later – my brother died of an overdose. A month after that – my uncle committed suicide. A month after that – my boyfriend’s sister committed suicide. Throughout the rest of the year – other deaths occurred. It would be easy to say, “Well, it was just a coincidence. People die!” But what haunts me to this day – is that two weeks prior to my miscarriage – I had conducted readings for myself. Every single time I shuffled the cards – the Death card popped out! EVERY SINGLE TIME! I lost count of how many times this happened. Even when I carefully shuffled them over the table – the Death card fell out. If I split the deck – the Death card appeared. When I did my spread – the Death card was there. I tried to meditate and clear my mind, as I wondered if I was obsessing about it so much – which made my subconscious mind gravitate towards it. Needless to say – it freaked me out and I put the cards away. Then the deaths started happening. By the end of the year – I was able to shuffle the cards without it falling out or appearing. I also toyed with the Ouija board – along with the friend who practiced the Tarot with me. We made it ourselves – out of a piece of Masonite and Scrabble tiles. We used a small Sherry glass – turned upside down – as a planchette. I’d heard the horror stories about people becoming possessed after playing with Ouija boards – however I felt that the psychosis was brought on by their own fears and religious upbringing. I did not believe in demons etc. (neither did my friend) – so we got into it – mostly out of curiosity and in the spirit of scientific experimentation! I’d always thought that people deliberately pushed the planchette, spelling out things to either scare others or to satisfy their own wishful thinking. What amazed me was that the glass seemed to have an energy of its own. My friend and I made sure that we only – just barely – touched the glass gently with our fingertips. Sometimes – the glass would move a little – before we even touched it. Most of the time – as soon as we put our fingertips on the glass – it would start racing across the board and we could barely keep up. There were many times that we deliberately took our fingers off the glass – and it would keep moving – without us pushing or shoving it. Both of our hands lifted up above the glass – and it kept sliding. There are only two possible explanations for this: external energies or entities were controlling the glass – or our own energies combined to propel the glass, as though creating a third entity with our power. Either way – it was a remarkable phenomenon. (It’s perfectly reasonable to assume that – since our bodies are made of electricity – we generated a combined conduit.) What was even more remarkable – was that the entity (or let’s say – energy) that came through – most of the time, told us things that the other person could not possibly have known. For example: the energy would mention names of long lost relatives – including specific facts – for the both of us. We had never divulged the information about those relatives to each other, either because we weren’t that close to the relatives or it had never been pertinent to our usual conversations. Also – the energy would reveal personal things about the both of us; things that we had never told each other – or anyone else, for that matter. It was often shocking, sometimes amusing – rarely scary. One time, our kids were at school and we were having a session – when someone/an energy came through and told us that my friend’s son had ripped his pants as he climbed over a fence at school. We thought it was funny – but as we had asked for something specific (for the energy/entity to prove itself) – we decided to keep an eye or ear out for any news about his pants. Fair enough, several hours later I went with her to pick up the kids. Her son got in the car and complained about having ripped his pants while playing – as he climbed over a fence. We were both absolutely flabbergasted. We had not mentioned it to her son as we hadn’t had time before he did it. She stopped the car and we looked over the back seat – as he twisted to show the back leg – which had a two inch rip. He had also scratched his leg a little – but was otherwise okay. We wondered if it actually was a spirit or whatever – as the information was so accurate. We couldn’t wait to get home to get on the board again – but nothing exciting happened during that session. I’d like to emphasize – re: Paranormal – meaning ‘above’ normal, and Supernatural – meaning ‘extra’ natural. These two words have mystical connotations but we have to remember that they both indicate things that happen outside of the knowledge we already have of the world and everything in it. It doesn’t automatically mean that paranormal and supernatural things are magical. It just means that they are above or extra/outside our understanding at the present time – possibly to be explained by science at a later time. I say this to show how our experiences with the Ouija board were in the realm of the unknown – hopefully to be discovered and explained at a later date. They could also have been externalizations or amplifications of our own extra sensory perception or intuition – channeling our subconscious energies through it. These things are not automatically in the realm of magic either. We finally ditched the Ouija board – due to a scary experience that caused us to panic. We had already noticed throughout our dabbling – that our energy levels were always greatly reduced after a session. Even 20 mins into the sessions – we could feel ourselves getting more and more tired – to the point of us leaning our heads on one elbow as we tried to keep our eyes open. The final straw was when an entity came through and said that my youngest brother was going to die. (He died a few years later – as discussed earlier.) Then a supposedly “good” spirit came through – telling us to get off (and stay off) as evil spirits were on their way. We freaked and broke the board up, then threw it in the trash. To this day – I’m still unsure about what was happening and how it worked – but I maintain that we were not pushing the glass/planchette and that everything I’ve recounted is 100% true without any embellishment for dramatic effect! It’s funny how people are always searching for answers about themselves and their lives – through external things and using strange methods. It has long been said (especially in Eastern Mysticism) – that the answer lies within. This is certainly true when deciphering your dreams or relying on your intuition. I read a while ago, about scientists discovering brain cells in the stomach – sometimes called “the little brain”, a network of neurons that line your stomach and your gut. They postulated that since they were linked to the cortex – it explained gut feelings and others associated with emotions, including the fight or flight impulse. It also explains the sensation of butterflies in the stomach. When we want to know things about ourselves and our lives (especially important things) we like to consult oracles and use fortune telling – with a secret hope that the desired result will be the answer. (The same goes for praying.) In our minds – we could easily resolve the issue by using rationality and reasoning – but we like to ‘dupe’ ourselves into thinking that we can get a concrete answer from some arbitrary tool. Most of the time – we already know the answer or it’s out of our control. Either the decision is in someone else’s hands or wishful thinking causes us to scramble for whatever aligns with our desires. It would be easy though – to throw the baby out with the bathwater and say that intuition is bogus. Science does not allow for things such as miracles and fate – as it prefers to sit with explanations such as coincidence and cause and effect. We all know that there is a distinct line between the beginning of an event and the final result. The progression depends upon certain steps taken and events unfolding via choices, decisions, actions and outcomes. For example: If you’re a religious person and someone decides to give you $100 as a gift – you might think that it was due to divine providence or karma. If a doctor saves your life – you might assume it is divine intervention, luck – or again – karma. You have chosen not to see the cogs and wheels in the machine. You are like a primitive person who has never seen a tv and believe that there are actually tiny people inside the magic box. You haven’t seen all the steps that happened in order to provide the favorable outcome. You also don’t see that those same steps could have resulted in an alternate – less favorable outcome – depending on circumstances, who’s involved etc. After having said all that – I do believe that intuition is real – although not necessarily from an external force or deity. I think it is ‘paranormal’ or ‘supernatural’ – not necessarily magical – but a natural phenomenon yet to be explained. This would account for the majority of supposedly mystical experiences, such as: the bonds between parents and children, twins, sensing danger before it happens, premonitions, deja-vu, luck, coincidence and so on. Feeling alone in the world and dealing with abandonment issues could easily explain the desire for attachment to an all-encompassing, omnipotent father-figure. (In Ancient times – also the Mother figure in the form of the Goddess.) Also – fear of death – as mentioned earlier. The idea of an afterlife is comforting for those who can’t bear to face oblivion. Still – I have had experiences that cannot be explained away so easily. Dealing with Hypnagogic and hypnopompic hallucinations all my life has been difficult – made worse when I realized that I had passed on the affliction to my son. Or so I assume! In shock, I asked him several times to repeat what he’d said – and he did so – exactly the same sentence. My brother lived next door at the time, so I took my son over to his Uncle and told him to tell him what he had told me. He did so – and my brother was just as shocked as I was. He continued to say that he had been screaming for me all night but I didn’t come to him. He was very upset over that – so was I – as I always checked on him and listened for every noise. I asked him if he’d had a nightmare and he then retold the following. He had gone to bed and was then woken up by many aliens in his room. 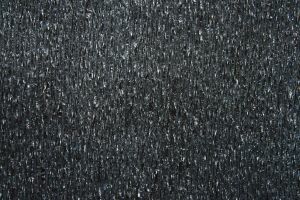 Some were tall greys wearing long black robes. 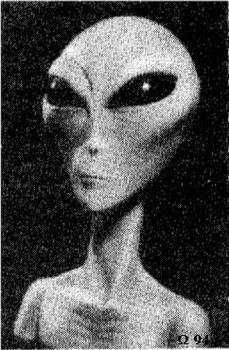 They were standing in the back – while small, black, squat aliens milled about in the front. One of the small aliens was holding a crystal orb that had a black key in it. The alien threw it in the air and it started floating towards my son – who was trapped in his body and screaming. As the orb approached him, another squat alien – quite different to the others – told my son that if he took the key out of the orb, he would unlock the secrets of the universe! He also told my son that he – and myself and my mother – were from the Pleiades constellation, and that we were vapors before we came to earth. He said that the planet we came from was “Livkik”. This alien was quite unusual – like a troll. My son explained him as wearing shorts, but shirtless and barefoot – with an ugly face and a long hooked nose. He had a large gold earring in one of his ears and his long toenails were curled in spirals. This alien kept telling my son to “Take it!” – referring to the orb – as it continued floating towards him. My son continued screaming as the other aliens joined in the chanting. “Take it, Take it.” It’s no wonder he was horrified – and upset – as I didn’t come to save him. I asked him why he didn’t take the orb, to which he replied simply, “I was scared!” I was already assuming that he had the same hypnagogic/hypnopompic hallucinations that I had suffered since childhood – but who knows?! Funnily enough, two years later – we went to a garage sale – where he found an unusual stuffed toy. It was made in Iceland and looked like an elf or pixie – with satin clothes and pointy ears. My son grabbed it out of the box and said excitedly, “He’s from Livkik!” I had to buy it for him! I have yet to find satisfactory answers to the following questions: I had not been interested in the Plaeides – prior to this event. Where could he have gleaned the information from? How could a three year old pronounce this name and say this full sentence – when immediately before this event – he barely spoke more than one or two words at a time? (This also includes the discussion we had straight afterwards, where he explained in detail what had happened – very articulately and succinctly.) It’s like he went from toddler to teenager (at least!) overnight. What about ghosts? I’ve always found this phenomena intriguing – even though I’m pretty sure most cases can be explained away as wishful thinking, rampant imaginations or matrix/eyes playing tricks and fear. Even so – I have had a few experiences that defy explanation, but that doesn’t necessarily mean that I believe 100% that I saw a ghost. One experience I had was shared with my cousin and my son – when he was in his early teens. We decided that we’d go to get takeaway and that we’d walk to the shop. As we came out of her front gate and went to walk up the road, we heard a distinct, “Hey!” – as though someone was standing right next to us. My cousin lived next door to a vacant block of land – so we stopped to check. No one was there – only us. We laughed and went to continue – then heard a “Pssst” – like a short, sharp hiss. We stopped again – a little scared. There was still no one there, so we checked the grass for snakes – and thought it might have been a gas leak from the ground (grasping for answers.) However – a gas leak can’t say “Hey” in a human’s voice, can it? In that same house – the day she moved in – I was helping my cousin unpack. I was in the lounge room and she was in the kitchen. There was a hallway that connected the kitchen, lounge room and bedrooms and led to the front door. My cousin called something out from the kitchen, then stepped into the doorway to hear my response. She swears black and blue – to this day – that she saw me come out of one of the bedrooms further down the hall and cross over to the other bedroom. She went down the hall – passing me in the lounge room – and went into the bedroom to continue talking to me, but I wasn’t there. I remember the shocked look on her face when she slowly walked into the lounge room – her eyes as big as dinner plates! She asked me how I got past her without her noticing. I told her that I hadn’t moved – that I had been in the lounge room the whole time. She didn’t believe me. She went outside to check the windows, as she thought that I had jumped out – run along the side of the house – climbed in through the bathroom window and raced into the lounge room. She had only been in the bedroom a few seconds. She realized that I would not have had enough time to jump out the bedroom window, run down the side of the house and climb back in the bathroom window, then run to the lounge room. She would have seen me running and I would have been out of breath. We were mystified by that! A couple of weeks later – we were on the phone for a chat. She was sitting between the bathroom and the kitchen and she suddenly stopped mid-sentence. (My cousin – even though a Christian – is very scientifically minded and needs evidence or proof for just about everything – apart from her religious beliefs.) I asked her what was wrong and her voice started shaking. She told me that she had seen an old man walking through the kitchen and out the back door – then disappear. It took her a while to get comfortable in that house. I’ve had other experiences – but I’d like to stop there and refer to a great book called “The Dark Gods” by Anthony Roberts and Geoff Gilbertson. 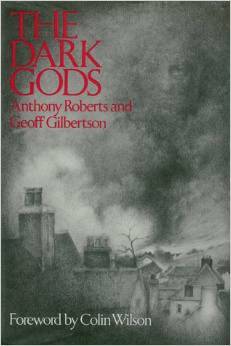 (You can buy it here: http://www.amazon.com/The-Dark-Gods-Anthony-Roberts/dp/009138771X). Even though there’s a lot of speculation about fairy tale characters and mythological archetypes being aliens etc in disguise – one thing “kind of” made sense to me, in regards to ghosts. They mentioned how events (including deaths, wars and battles etc) are imprinted on the surroundings – like a recording. For example: rocks can contain elements that are magnetic, or crystal etc that can act like a conduit. They can apparently “absorb” or channel events and energies – then release them, causing a haunting and so on. (I did say that it “kind of” makes sense!) On some of the popular ghost shows on tv – they talk about residual hauntings – where the events are played back over and over again, hence the reason you may see a ghost going through the motions of their daily routine. Other hauntings are considered “intelligent” – meaning that they will interact with the living, answer questions etc. EVP’s – which stands for Electronic Voice Phenomena – are the supposed recordings of ghosts speaking or answering questions. Some say that they are just picking up radio waves – but it’s amazing to hear answers to direct questions, or people’s names being called out etc. If they are real and not over-dubbed etc – then I do wonder if they are recordings of thoughts projected by the ghost hunters. It’s amazing what the human mind can do – when excited and under duress – but I’m no scientist! I do remember reading about Poltergeist activity – being explained away as the surging hormonal and emotional energies of pre-pubescent and teenage children. When concentrated and directed – energy can be very powerful indeed. It’s even stronger when in a group, and there have been accounts of group meditation sending strong energy – sensed by the receiver many miles away. Again – it does bring to mind explanations such as psychosomatic response or mind over matter. For me, the bottom line is – whatever works – as long as you don’t go beating other people over the head with it. What is gospel for you will be bogus to someone else, and vice versa. Taking something from the ‘void’ and organizing it into a doctrine to make others follow you is absurd, in my books. If others gravitate to you and your beliefs – of their own accord – then, great! I know – like many others – that there’s so much going on in the void – yet to be discovered or explained satisfactorily. With quantum mechanics and other scientific breakthroughs – as well as things such as paranormal investigations – we’re bound to get there – one day. Until then – let’s remember to keep it as real as we can and share our thoughts and experiences – without creating wars over stubborn beliefs and hidden agendas!